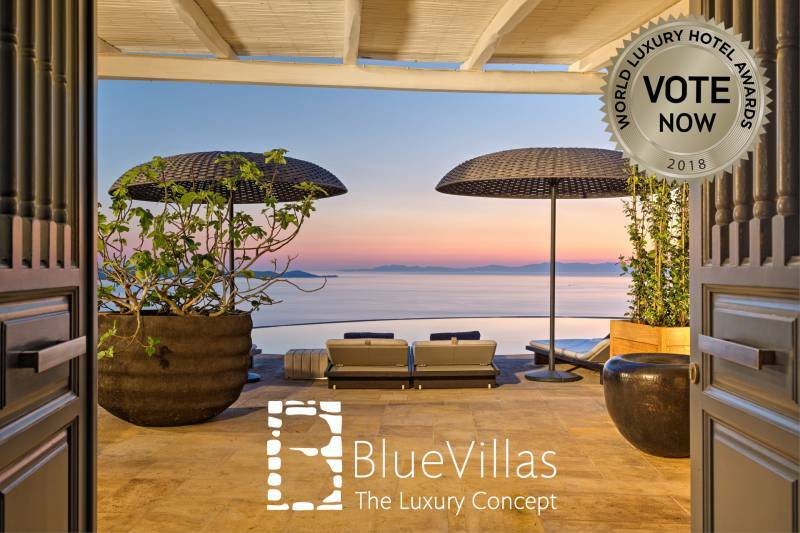 The luxury hospitality awards are back and we are glad that Bluevillas is part of them for the 3rd consecutive year. 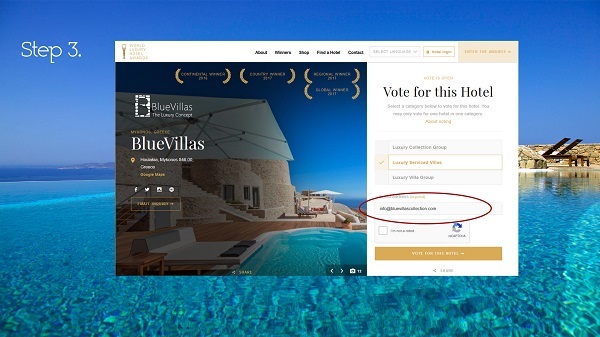 Having won the regional, country, continental and global titles, we seem to be still hot as we are nominated again in the World Luxury Hotel Awards! Every year we strive to give to our guests our best service and lasting memories and we seem to manage it rather well. 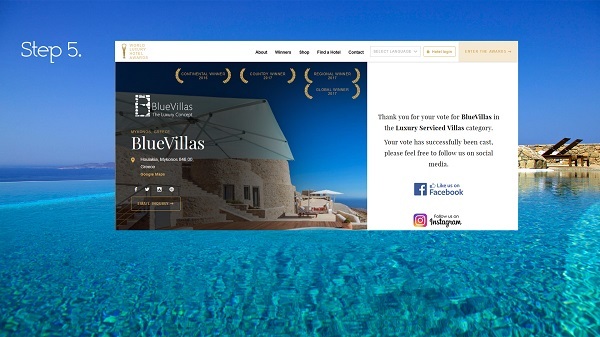 Our 24/7 concierge, our luxury lifestyle management services, the personalized experiences we offer and BlueVillas gastronomy team brought us among the luxury veterans of the worldwide scene. We are extremely grateful for that and we want your support in the simplest of ways. 4) Press "I am not a robot" and "Vote for the Hotel". 5)Wish us good luck and spread the word. Easy or what? Wish us the best of luck and may the odds be ever in our favor. Don't forget to spread the word and always browse your favorite luxury collection.